This long-awaited sequel of Mathematical Quickies & Trickles comes with many creative worked examples and questions, with cartoons sprinkled throughout the book to keep in line with the same irreverent and fun spirit of the previous book. You won’t only be exposed to different problem-solving techniques, commonly used in answering math contests and competitions questions, but also learn to appreciate elegant or intuitive solutions. * problem solvers longing to be challenged by questions whose obvious solutions are never the correct ones for what offhand appears to be true is false. To buy the e-book version of More Mathematical Quickies & Trickies, click HERE for $9.99 ONLY! 3. What Is the Easy Way? 6. What Is 27 x 37, Really? 21. What Is 1 + 1, Really? You can buy the e-book version of More Mathematical Quickies & Trickies from: ClickBank (click HERE) for $9.99 ONLY! For information about the Author. Fan Page for More Mathematical Quickies & Trickies, click HERE. 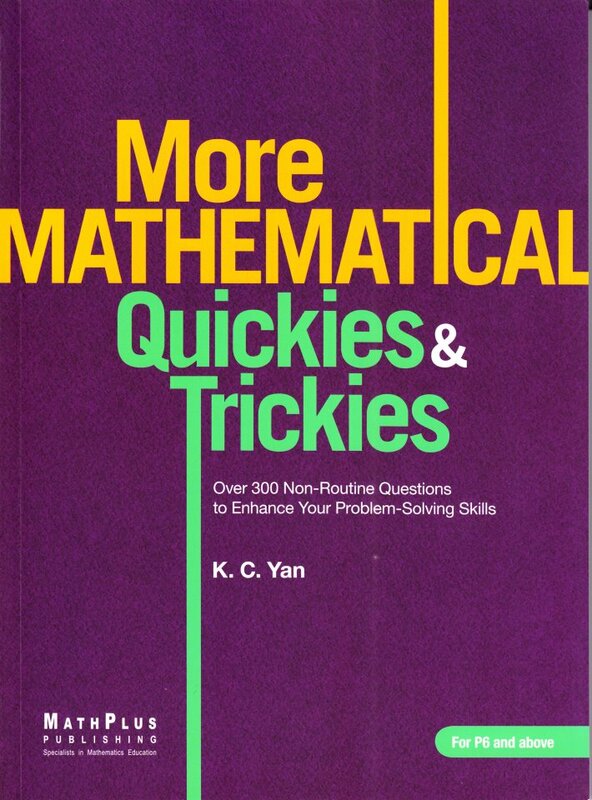 On Amazon.com, a printed copy of More Mathematical Quickies & Trickies is priced at US$12.90.